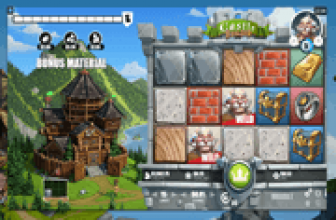 The Legend of Shangri La is another Cluster-based icon matching game that NetEnt filled with power-up features. Cartoon characterization of Animals as Gurus of the fabled earthly paradise come across as top paying icons. A Tiger, an Elephant, and a Monkey, all described as Gurus, appear as 2-tile high stacked symbols that count as two (2) images. Outside the slot screen stands an Elderly Fox, endowed with powers to enchant the reels. At the Fox Guru's behest, overlays of Jade-like Substitution Symbols will be added to a spin outcome; creating at least one (1) Cluster Win. The icon-matching mechanics of this game is cluster directed. At least nine (9) alike symbols connected horizontally, and/or vertically are Cluster Wins, regardless of where the formation occurs. It is possible for a spin to produce two sets of winning Cluster Symbols. After all, the 5 x 6 grid contains 30 varying symbols that depict the legend of Shangri-la. In fact, a Sticky Respin activates if two independent clusters have at least five (5) identical components. The Free Round has its own win-boosting feature, which also revolves around the Jade Substitute Symbol. 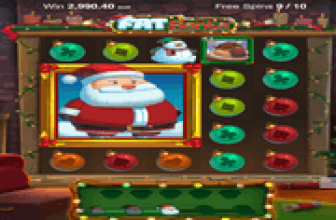 Now the best facet of the Free Games is that it comes with a guarantee that the round will award at least 10x the Total Bet in Total Bonus Winnings. In lieu of a wild card, The Legend of Shangri La base and bonus game reels use a more direct approach in replacing symbols. A Jade-like element, called Substitution Symbol, takes on the image of the icon positioned next to it. During base games, clustered groupings of identical images could trigger the Random Substitution Bonus, or the Sticky Respin Feature. Random Substitution Bonus events occur when the reels return after a paid spin, with two independent but non-winning clusters of matched images. The groupings must have at least four (4) or more, in order to trigger the feature that adds one or more overlays of Jade Substi-Symbols next to the existing clusters. As players continue with the reel-spinning actions, additional overlays will continue to appear and connect with the non-winning clusters until at least one Cluster Win is achieved. This feature though, does not activate concurrently with other Bonus Features such as the Sticky Respin and the Free-Spins. A Re-spin activates when two (2) non-winning Clusters comprise 5 up to 8 identical icons. Here, the two (2) groupings do not have to have the same set of matched symbols. In such cases, only the low-win Cluster will be retained and held in place during the Sticky Respin. The rest of the symbols in view, will then respin independently but simultaneously. The respins continue until the held Cluster of symbols meet the required nine (9) or more, same-symbol components. It is important to note that this Sticky Respin Feature awards a bonus, only for the completion of the Cluster held in place during the free turn/s. Landing on 3, 4, 5, or 6 Free-Spins icons, will set in motion 5, 6, 7, or 8 bonus spins accordingly. The bonus round initializes with an infusion of two (2) Jade Substitute Symbols in any random positions. The two Starter Substi-Symbols may succeed in forming a Cluster if the related bonus spin produces additional substitute icons that connect to the bunch. Regardless of the outcome. the next Bonus Spin will play with only two (2) Substitution Symbols; removing the additional substi-symbols created in the previous free turn. Bonus Win Guarantee – This slot game guarantees that a Bonus Round will award Total Winnings equivalent to at least 10x the Total Bet. In the event the round concludes with less than the guaranteed amount, an additional bonus spin will be awarded. Although the extra spin is independent of the original round, any Substitute Symbol in view will not be taken out during the additional bonus spin. 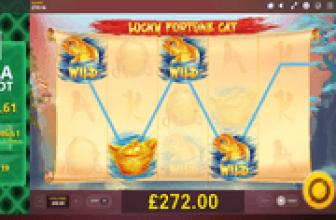 Free-Spins Nudge Feature – When 2 Free-Spins icons are in view after a spin, a Nudging action occurs if the next reel on the right contains a third Free-Spin element. However, any Cluster win occurring after the nudge will not count as additional win for the related spin. The Legend of Shangri La online slot awards Sticky Re-spins and Free-Spins boosted by a Substitute Symbol. One or more may appear as spin outcomes or awarded as random bonus, in order to complete a Cluster Win. Even more amazing is the Free-Spins Bonus Reward Guarantee. If a Bonus Round ends with a total reward of less than 10x the Total Bet, an extra bonus spin will be awarded in order to meet the minimum bonus prize.